CALL NOW TO BOOK YOUR ONE TO ONE TAILORING CLASS WITH AWARD-WINNING IMTAZ ON 020 7683 7022, imtaz@imtaz.com, OR BOOK ON-LINE BELOW. "It was great pleasure to meet Imtaz. All my team of tailors from Harrods enjoyed the training very much." "I wanted to say your class though it was two years ago now is the only class where I have learned from start to finish how to make the things I wanted to make, and though I am rusty on practise I still feel what I've learned was so valuable that I can start again confidently." Imtaz offers one-to-one tailoring classes at all levels from complete beginners to advanced, to suit enthusiasts or professionals. 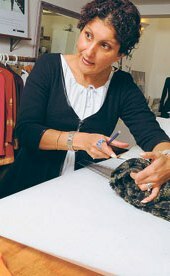 On completion of your course you will not only have learnt new skills such as pattern cutting, designing, fitting, and sewing techniques, you will also be able to take home couture patterns and garments for your wardrobe. Imtaz's courses are regurlarly featured in magazines, for example Elle - Where to do it and Time Out - Tried and Tested. Contact Imtaz to book your class. Payment on-line or by cheque or bank transfer to "Imtaz Khaliq"
"Had a wonderful experience with imtaz consulting her for starting my collection and teaching me how to draft patterns , edit the patterns and create the item. Extensive knowledge in both fashion making and fashion business. Lovely temperament , imtaz will teach you so you’re able to teach your-self like all the greatest teachers do. Would recommend to everyone and anyone !" "Thanks for the warm reception. The pattern cutting course was wonderful. The course gave me a foundation to build on. God bless you." "I had 5 days with Imtaz and I can say that it was an experience I have anticipated for so many years. I had contemplated taking a sewing class for a very long time and I finally made up my mind to do it when I came across Imtaz on google. I learned so much within the 5 days, made a skirt, a top and a trouser. Imtaz is excellent at what she does and has a way of making you feel very comfortable. My family were quite impressed with what I made and infact I believe I am not finally done with Imtaz yet. I will recommend her to anyone anyday anytime"
"I recently went on the four hours course, not knowing what to expect in the short amount of time. My background is fashion and I wanted to setup my own business. Seeing how much experience and tailoring background Imtaz has, the course appealed to me to take the leap. Imtaz has a wealth of knowledge which most people who have it don’t share their. She is transparent and genuine in helping me to make my vision a reality. This has been such a good money and time invested, as it’s for my future. Look forward to provide feedback once my business is setup, as I now believe that I will. Thank you for your kindness Imtaz"
"Imtaz Bespoke Tailor. I did the 5 day course with Imtaz. I found her to be a patient and good teacher who explained , showed and get me to do things in a timely manner. She is knowledgeable and taught me so much i was surprised. I did patterns that I was able to construct , cut out , sew and finished to a very high standard. I am planning to do another course to help me on my journey as i practice what she taught me. I would not hesitate to recommend her for her one to one courses." "Just wow! I was absolutely blown away by Imtaz service. I needed to alter my wedding outfit on quite a short notice and she didn't only rise up to the challenge but exceeded my expectations by far. Sure her service comes at a price but every pound is well spend when you are looking for reliable and excellent work! I cannot recommend her enough!!" 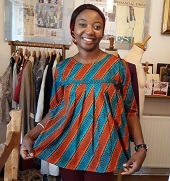 "I spent a wonderful day with Imtaz - I learnt so much as she is a very good teacher and showed me some really clever ways of taking my dressmaking to the next level through creating my own patterns etc - I couldn't believe i could learn all that in one day. All I have to do now is put it into practice!" "I thoroughly enjoyed my time with Imtaz. She's extremely knowledgeable and teaches in a way that anyone can understand. Although I work on Savile Row, I found that Imtaz's teaching methods are exactly what I was looking for. I look forward to continuing my journey in Bespoke Tailoring, and with Imtaz's help, I know I'll go far." "I recently had the very great pleasure of spending half a day with Imtaz as she taught me how to create a pattern block and transform this into a toile. I have been sewing for a few years now but was becoming increasingly frustrated with the fact that the garments I was making were not fitting me very well. I didn't have the skills or knowledge to understand how to improve the fit of the clothes I was making, however my time with Imtaz has really propelled me to the next level of dressmaking and I came home with a pattern block and draft pattern that I will be able to use time and time again. Not only that, I now know how to start creating my own pattern blocks. Imtaz is a fantastic teacher as well as an incredibly warm person who is genuinely lovely to be around. I am actually looking forward to encountering my next sewing hurdle (whatever that may be) because I will absolutely be hot-footing it back to Imtaz"
"Dear Imtaz, First of all I would like to thank you again for a fantastic two days tutoring. I am still telling people how wonderful it was, and how much I learned." "I was lucky enough to have a one day class with Imtaz on Monday. Imtaz really knows her stuff. She understands pattern making inside and out and importantly, can communicate this at the level needed. She has a lovely manner-I think she she must be a fine woman, inside and out. 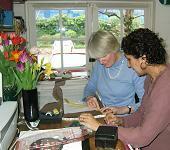 I was so pleased to have the chance to snoop inside several of her creations. Wonderful haute couture standard of making-I think a jacket from her would fit beautifully and feel luxurious indeed. I love her designs - elegant"
"I've taken the 10-day course with Imtaz but due to my schedule we arranged my classes to complete in 5 days. With Imtaz's guidance and help, I drafted and made a fitted shirt and a pair of trousers to my measurements. The reasons I chose to learn from Imtaz were to learn how to make a garment from scratch using real measurements and to learn tailoring techniques like finishing. Imtaz was patient and gave her instruction clearly. She shared her experience and helped with the process when needed. Compared to other courses I took, I found her classes very useful. I could ask questions at any time and could link the drafting and making processes together (many courses just do drafting or only use commercial pattern for construction). As such I was able to learn how to refine fitting and adapt patterns. I had a great time and would not hesitate to recommend Imtaz to people who want to learn how to make nice clothes properly." "I really enjoy every minute, everything was clear , it was very informative , can't wait to book again. Thanks for your time and effort." "I have just completed a 1-day course learning how to make a block skirt pattern and to fit a calico toile. I was very impressed with the way Imtaz made the process so straightforward. I found Imtaz so easy to get on with, an excellent teacher and an inspiration to start making my own clothes. A really enjoyable 4 hours - and time well spent!" "I graduated from LCF studying men's bespoke tailoring and have worked on a course in Savile Row run by Maurice Sedwell. I have been doing the 20 day course with Imtaz and learning so much more then I could ever have imagined - learning so much in such a short period of time. I came to learn pattern cutting and womenswear couture. I have already finished a dinner jacket and have made a number of patterns for my new collection combining womenswear and menswear. Imtaz has made it so much clearer. She goes at your pace, demonstrates well, and has a unique design method for tailoring. I have learnt these skills so fast that I have been able to work on my own collections." "I took a five day shirt making course with Imtaz and really enjoyed it. I was shown how to cut a pattern and sew different fabrics, and finished the course with a fantastic shirt that I'm very excited to wear. Imtaz is an excellent teacher and is very easy to get along with." "I came to Imtaz from Brazil wanting to learn how to make made to measure clothes. Something I thought would take me ages, she made me learn in 30 mins. She is amazing. I did a 3 year fashion degree but didn’t learn the basics, such as drafting bespoke patterns. I feel really confident at the end of the course and now I am ready to start my own business"
"It was lovely meeting you last week and thank you for a wonderful two days tutoring. You have renewed my interest in sewing after a thirty year lull. Imtaz is very endearing and has a unique ability to adapt the tutoring style to accommodate different levels of competency and learning preferences. No matter how good/bad you think you are, by the time you leave Imtaz’s studio, with skirt/project in hand, you believe you are ready to take on the world of couture! Although I was confident the course would match my requirements, I could never have predicted Imtaz’s willingness to openly impart her wealth of business knowledge and experience. Imtaz gave me valuable advice on how to overcome an obstacle aligned to my consultancy business; you would struggle to find another tailoring course which provides this additional opportunity. I have now bought a Janome machine and will continue to practice my new found skills. As soon as I am ready to take on more advanced projects I will book another couple of one-to-one lessons." "It was pleasure to finally meet you and I really appreciate you taking the time during a busy holiday season to guide me through the process of creating a pattern block and fitting trousers. I look forward to making a pair of well-fitted and flattering trousers for myself. The information I gained during my time with you will be helpful in teaching my own class next year. It was also very interesting to hear about your background and the progression of your own career." "Dear Imtaz, I really enjoined the two sewing session I have been having with you so far, I am looking forward having more sewing session with you hopefully after holidays in September, you are an amazing lady who has lovely personality, I'd like to thank you for the sewing skills that I have learnt from you, I love the skirt and the top that you have helped me to make." "I just wanted to say a huge thank you for allowing Reema to shadow you for the day. It was terribly kind of you to spare a whole day out of your busy schedule and spend the day with her in your studio. Reema really appreciated hearing and learning about your personal journey to becoming an accomplished businesswoman and bespoke tailor and I’m positive she has come away feeling very inspired. It was lovely meeting you this week and I hope our paths will cross again soon." "Imtaz has been great. I was very burnt out after graduating from fashion school, but she has rekindled my love for making clothes." "Imtaz is a great teacher - she has a vast wealth of knowledge and experience that she is happy to share, and her flexible and supportive method of teaching allows you to develop at your own pace. Her lessons are both fun and practical. I learnt a huge amount (far more than I expected) in my first week of lessons and feel equipped with the basic knowledge I need to go forward." "I want to thank you for helping me make my beautiful evening top, I love it. Looking forward seeing you helping me with my new project soon. Many thanks." "I spent a couple of weeks with Imtaz last year before starting a fashion degree course at Leeds University. These lessons were really beneficial to me, giving me a head start and inspiring me to be more creative. I learnt how to construct a pattern block and i then made a fully lined dress, a fully lined pair of trousers and also different styles of skirts and blouses. 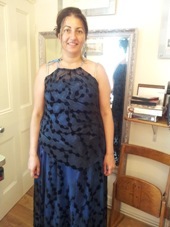 I recently have been back to further my knowledge of garment making"
"I spent a week with Imtaz learning to construct a fully lined dress of my own design. Imtaz's twenty years of experience as a tailor make her an ideal person from whom to learn the intricacies of creating a garment with a high quality finish. Moreover, Imtaz is a successful businesswoman whose passion for mentoring young fashion entrepreneurs is apparent." "I would like to say, the girls really enjoyed the day and found it useful." "It was great to meet you and learn from you. Thank you for making the session so enjoyable. The coat is looking great and it fits!" 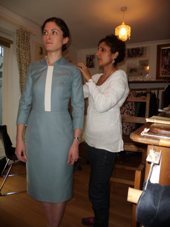 "When I was looking for a dressmaking course to attend in London, there were many professional institutes that offered different kinds of courses. I chose Imtaz because she offered a one to one tailoring class in which you can learn practical experience in a friendly as well as family environment at all levels. She teaches you techniques and methods with a modern approach identifying your needs at the beginning and tailoring your training accordingly. She properly explains how to design the pattern while you are making it so that you learn what to do, how to make it, and how to avoid mistakes. The training continues after the lessons. In fact, she suggests the best places for buying materials, the best fashion exhibitions, and best areas in London for tailoring. I’ve made two designer dresses in a five-day course. Firstly, I learnt how to make them; secondly, I am able to reproduce gorgeous dresses that are similar to them; and finally, I thoroughly enjoyed making them. I was also happy to meet Imtaz who is a unique person with a huge fashion background; she gradually transmits her passion for tailoring to you. Unfortunately, I had to go back home and I couldn’t spend more time there than I did. I would like to repeat that invaluable experience as soon as I can." "I just wanted to thank you again for a lovely and instructive time yesterday. I couldn't quite believe I'd whipped up a skirt and had a block in a few hours until I got home and tried it on. I can't wait to get my machine out and start sewing properly again. I shall definitely be calling soon to arrange another appointment." "Well what a lovely day I had with you yesterday. That was such a constructive lesson for me, you truly are a wonderful tutor." "I was so pleased to finish my lambskin coat, which I think I started in the mid 1980's and without your impetus I think would not have been finished. I shall enjoy wearing it. I taught a leather class at Richmond Adult College during the 1980's until 1994 also glove making, belt making and lingerie. I do enjoy coming to you and will certainly come again in March." "I learnt loads of useful things and will be recommending your workshops to others. The day was very relaxed and easy going. All of us got excellent instruction and attention I think we all enjoyed it. I will certainly be putting what you told and showed me into practice. In fact I followed your suggestions and have just to sew on a few more hooks and eyes and my project is complete. I have learnt so much just by doing this one item. Thanks again. I look forward to the next one." "I also really enjoyed coming out to your studio. It was well lit and felt very welcoming. You were very professional in your teaching and I felt totally comfortable with you, even though I was a total pattern drafting novice! In the two hours I was with you we'd drafted a pattern for a straight skirt and had time to make it up in calico to check the fit. It was a much better fit than anything I'd made previously using a commercial pattern. I also learnt a fair bit just by watching the way you marked out the pattern and used your tools. It was great to watch someone with your experience work." "Imtaz, thank you for getting me back into making my own clothes. Lessons with you to design and make my skirt, trousers and jacket inspired me, it's great to be able to make my own individual garments and know I won't bump into anyone else wearing them." "What's been really great for me is having someone who knows what they are doing, looking critically at what clothes I need for the life I lead then identifying the style of clothes that make me look my very best. On top of that I'm shown step by step exactly how to create these clothes that fit me and suit me so I can go off and make them in any colour and fabric I like. Then I go out knowing I look as good as I can which is a great confidence booster. Fantastic!!" "I absolutely love sewing. Its such an excellent creative outlet for me. To be able to make my own clothes is incredibly satisfying. I came to the tailoring day to get your help and assistance with finishing off my wedding dress for my Chinese Tea Ceremony. I would never have been able to get my collar done so perfectly without your help. Thank you also for helping me get the fit just right. I can't wait till I get to wear it in March. I really enjoyed myself on Saturday. I am already looking forward to the next time when I can join you on another tailoring day. I think this is going to turn into a regular monthly occasion for me!" "It was so lovely to come up and work and spend the day with yourself, you are truly a wonderful person. You have given me a lot of information and advise and I Thank you for that. It is so hard to make it in the industry and I have got a long way to go before I get recognised. But I had so much fun that day, I could not stop talking to my family about it. I would have loved to be able to spend more than a day with you." Imtaz's work experience student Amina Ahmed winner of Young Designer of the Year Asian Woman Mag.